We came up with these adorable monkeys for my 5 year old preschool class. We used mini chocolate moon pies, vanilla wafers, mini vanilla wafers, mini chocolate chips, edible eye balls, chocolate cookie frosting, and lollipop sticks. We attached our regular sized vanilla wafers to the moon pie with chocolate frosting for the nose. We attached the mini wafers with the frosting for the ears. We cut the wafer on the edge just a bit to give it a straight edge. We attached our edible eye balls with the frosting. We then attached our mini chocolate chips for the nostrils and piped on the mouth with the frosting. Pop it on a stick and there you go! The kids fell in love with these and I fell in love with how easy they are! These are great to transfer to parties, etc… They hold up very well and you can do lots of them without spending several hours to do it! « Previous PostIt’s a Mickey Mouse Lunch! Next Post » Daddy Krabby Patties with a side of Sponge Bob! I love ALL of your ideas! Thank-you so much for sharing them. 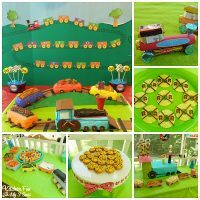 This is so adorable and fun! 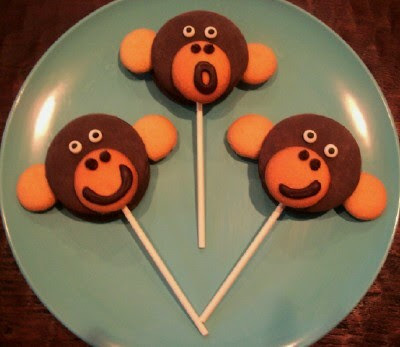 My sister is having a baby shower with a monkey theme… these could be a cute little treats to add! 🙂 Thanks for sharing! very cute!!! what brand are the mini moon pies??? 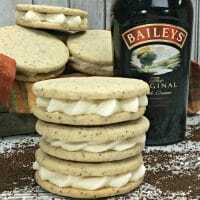 need to make thses with the grandkids!! Thank you! I think they are made by Moon Pie. We got them in the cookie section at Kroger grocery store. They were not with the Little Debbie cakes, etc…but could be in other stores. I have seen them in Walmart as well. 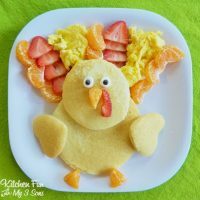 These are adorable, and easy too:) A great combination! These are just too fun! Great job! These are super cute. I son calls himself little monkey (he really is one, LOL) and would be jumping up and down seeing these! Thanks for sharing. I'm hosting a cookbook (On A Stick) giveaway on my blog. Please stop by to enter if you haven't done so. Have a wonderful day. Thanks so much for linking this up… it's so adorable! Love your blog it's super cute and your boys are cutie pies :)! These are adorable! Very clever!!! A pretty good recipe. I am impressed with the beautiful results, congratulations. I put forward on my French blog with a link to this article. The monkey expressions are so cute! These are adorable! I really like the facial expressions!